Lagowski has been making and recording electronic music since 1982 and before that was a drummer in a new wave band. Since 1987 he has released over 30 albums and ten 12” singles and continues to release on various labels Worldwide. Projects include Nagamatzu (co-founder, guitarist, programmer, engineer), Lustmord as engineer/programmer (e/p), Terror Against Terror (e/p), Isolrubin B.K. (e/p), Legion, S.E.T.I. (the one with the d.o.t.s.) and Lagowski. He has also been a synthesizer programmer for Yamaha R&D in London and continues to have work featured in film and television through licensing deals. 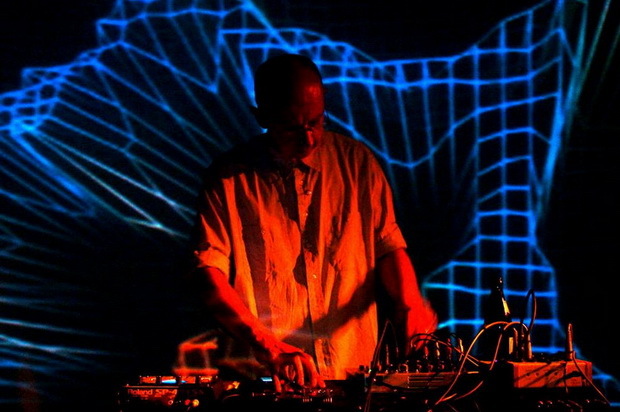 He has played live on various occasions and at many festivals alongside artists such as Fennesz, Autechre, Richard H. Kirk (Cabaret Voltaire), NWW, cEvin Key, Zbigniew Karkowski, Dive and Clock DVA. His long history of electronic music making has also enabled him to teach part time at Kingston University in London. Andrea Bellucci is well known as Red Sector A, which has released its first album in 1996, after many years as studio musician and technician. As Red Sector A, unitl now, has released five albums and a remix album with the ambient artist Alio Die, for Relapse/Release Entertainment. He has remixed many artists, from the Italian seminal band Monumentum to Dean Dennis, formerly of Clock DVA. Andrea has a dark ambient project too, named Subterranean Source, which has released two albums, in 2004 and 2008 with Relapse/Release Entertainment. Dio<X>Ide is the new creature born from their efforts.